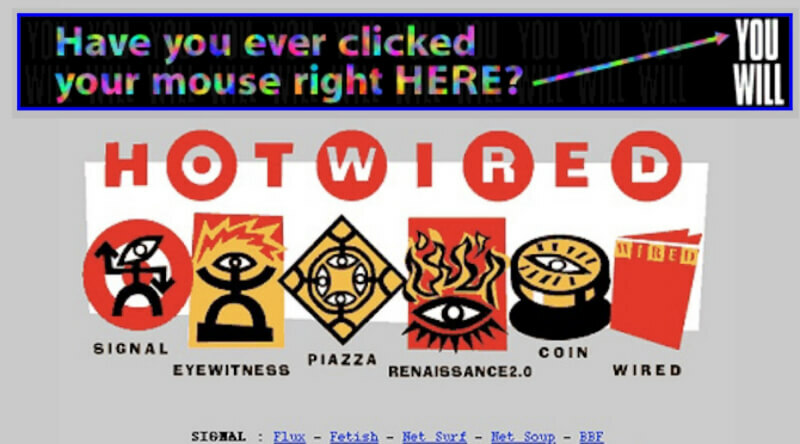 Wired magazine's HotWired.com was the first website to display banner ads. Although it's commonly said that the first banner was sponsored by AT&T, HotWired's advertising roster included other companies such as Club Med, Zima and Volvo. While it was more than just AT&T who prepared a campaign for the web's official debut of banner ads on October 27, 1994, the telecom company reportedly saw remarkable click-through rates of 44%, which is likely why it's cemented into the memories of early web users. The ad featured rainbow lettering (to stand out on the early Internet's gray pages) which read "Have you ever clicked your mouse right HERE?" with an arrow pointing to the words "YOU WILL," which were also faintly tiled across the background. 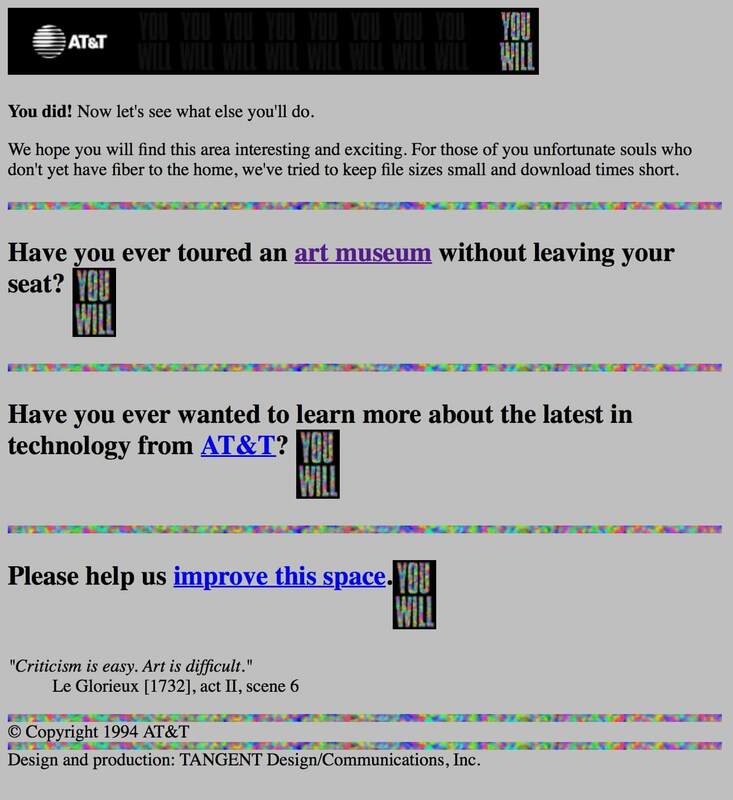 Clicking on the ad brought you to a page with three links: one pointing to a US map with labels art museums and galleries (including links to their sites), another was a directory of AT&T sites that couldn't be found elsewhere, and the last link led to a survey asking about the ad.